Balsamic Vinaigrette - Let the Baking Begin! This Balsamic Vinaigrette is what salad dressing dreams are made of. 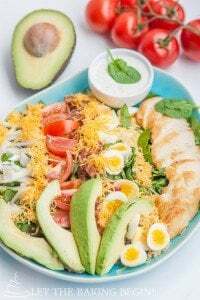 Simply put, it is a marriage of five natural ingredients that come together to create a creamy, flavorful, and healthy salad dressing. There is just something so satisfying by dressing your salad with the ingredients you love and can pronounce :). Since you already put the work into making your salad, why not spend 5 more minutes to whisk together the dressing? Little effort. Big difference. 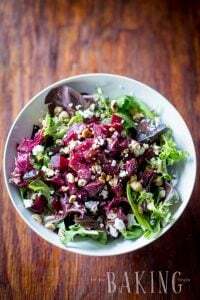 Store-bought Balsamic Vinaigrette is not only expensive, but it is also filled with dyes and preservatives one might want to avoid putting in their body and feeding their family. Also, why use soybean oil found in bottled salad dressings as a base if one can use much healthier olive oil? Not only that, but this recipe uses honey which makes it lower in sugar. 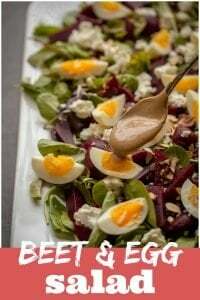 An excellent, healthy salad like this Beet and Feta Salad or this Beet and Goat Cheese Salad requires a healthy, delicious salad dressing. And that is pretty much the point:). Use is also on this green salad that is served with a fuss-less egg tart for a complete breakfast meal. This healthy salad dressing uses olive oil and balsamic vinegar as a base, the mustard for additional acidity and honey for sweetness. You can use freshly pressed garlic for sharper flavor. It comes together in about 5 minutes, and no special equipment is necessary to make this Balsamic Vinaigrette Recipe. Your trusted whisk or even a fork will do. Use good quality balsamic vinegar for optimal results. For milder flavor, use light olive oil. Whisk together all the ingredients except for the olive oil. Continue whisking and slowly drizzle in the olive oil until smooth emulsion forms. If the vinaigrette is too thick, use 1 tsp of water at a time to thin it to desired consistency. How to store the Salad Dressing? Because this recipe uses mustard, refrigeration is a must. How Long Does This Balsamic Vinaigrette Recipe Last in the Fridge? You can keep this dressing in a glass jar with a tight lid in the fridge for up to one week. If making the vinaigrette ahead, hold off on adding the garlic. Add it to the dressing right before serving instead. Sweet and Tangy BBQ Sauce – Easy to make, delicious sauce with ingredients you probably have on hand. 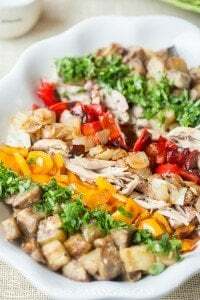 Easy Chimichurri Sauce – Serve this sauce with grilled chicken, steak or fish. 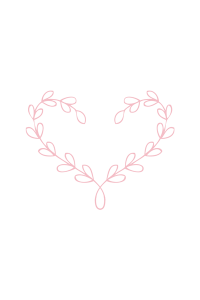 Takes 5 minutes or less to make! 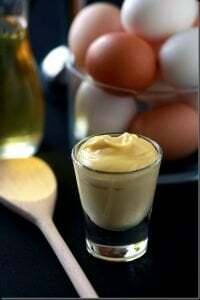 Homemade Mayonnaise – All natural ingredients whipped together to create this classic condiment. In a medium-sized bowl whisk together mustard, vinegar, honey, and salt using a whisk or a fork. While whisking, slowly drizzle in the oil until smooth emulsion forms. If the vinaigrette is too thick, use 1 tsp of water at a time to thin it to desired consistency.